What better way to start your week than with a pair of kissing sloths? We love sloths... and sloths love each other! BONUS CUTE: Tiny turtle wants kitty kisses. P.S. Oscar made it to his new mommy last night! Whoo hoo! #OscarTransport was a success! Isn't this the cutest picture? 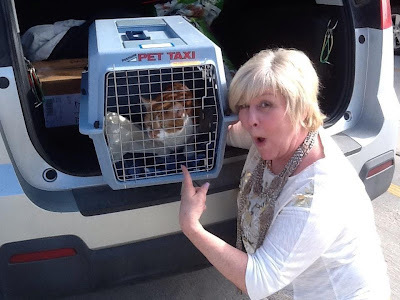 Oscar and his new mom, Cutehead Paige W.! Sweet Sloths! Have fun with your new mom Oscar! She looks pretty excited to have you! !